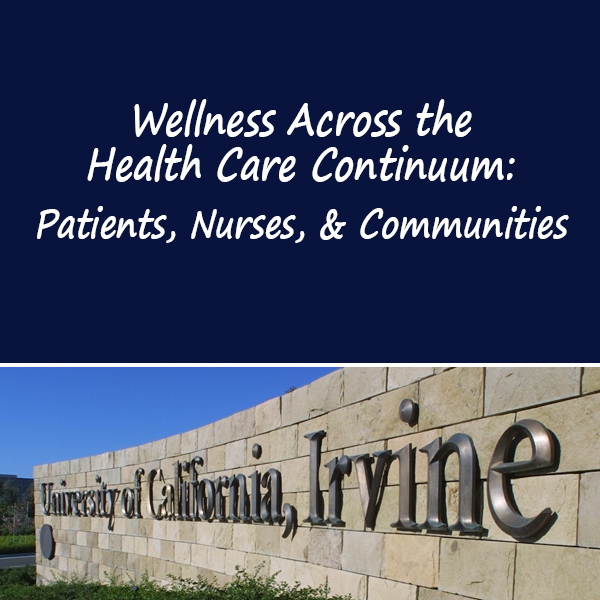 The second annual UCI Nursing Symposium brings the Orange County nursing community together to discuss leading topics and issues. This year, the focus is “Wellness Across the Healthcare Continuum: Patients, Nurses, and Communities.” Keynote speaker and American Academy of Nursing living-legend, Patricia Benner, will present her research on wounded warriors. All sessions will feature recognized experts in the field of nursing and beyond. Sessions are designed to promote a participatory environment and include hands-on interactive learning workshops and interactive poster sessions. Apply strategies learned through hands-on demonstration to promote wellness in themselves and others. Fees: $40 registration fee. Fees increase to $50 after May 15th. Students who show proof of enrollment in a nursing program will receive a $15 discount if they register by May 14. Student ID is required. To submit an abstract, please send to schoolofnursingnews@health.uci.edu.